In 2015, ASEF culture360 invites you to get an insight on issues that are highly discussed in the cultural sector across Asia and Europe. Through a number of in-depth articles and interviews, Magali An Berthon will initiate a reflexion about a creative generation which connects arts, design, crafts and social responsibility. She will introduce European and Asian personalities and initiatives, which offer original and inspiring answers to a globalized world. In this second article, Magali An sheds a light on Irish Design with ID2015, a unique opportunity to discover designers across the island of Ireland and abroad, through a year-long series of exhibitions, design and fashion weeks, architecture biennales, workshops and talks. In 2015 Ireland will live under the exciting creative pulse of design. 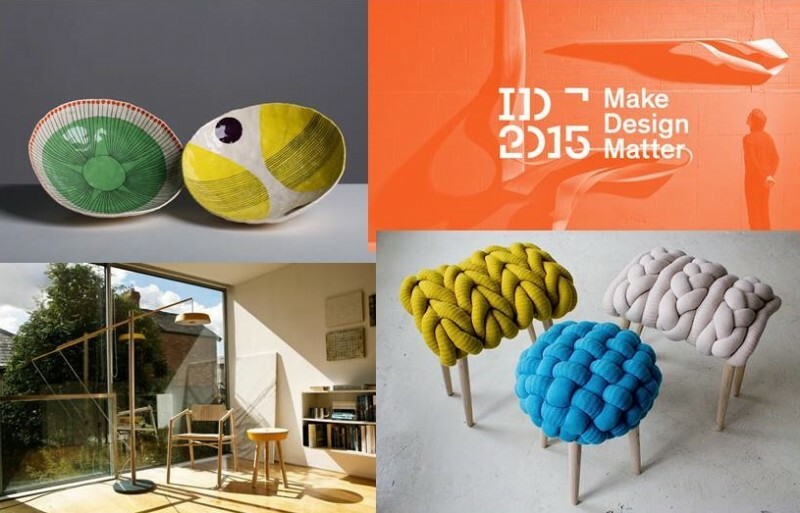 Irish Design 2015 (ID2015) offers a year-long festival exclusively devoted to show the many faces of this locally-based industry from interior design, to fashion and architecture. It unfolds mainly in Dublin but also within the whole country in Galway, Limerick, and in the Leitrim county. It involves the main players of the field from the specialized galleries and art centers such as the National Craft Gallery, to the design schools such as the National College of Art and Design (NCAD), to the creative talents themselves. Through a generous monthly schedule, this first edition has planned numerous opportunities to explore a major aspect of the Irish artistic culture. The festival emphasizes on the cross-sectional dimension of design and crafts, by showing the broadest range of know-how and practices. This unprecedented initiative is supported by the Irish government and the Design & Crafts Council of Ireland. As a perfect introduction, visitors may start their in-depth discovery right at their arrival in the country. The tone is set at the Dublin airport with a complete aisle dedicated to “Design Island,” an exhibition of 300 photographies by Peter Rowen. It highlights the work of two dozen award-winning and acclaimed designers and craftsmen such as architect duo Sheila O’Donnell and John Tuomey of O’Donnell + Tuomey, animation studio Brown Bag Films, or Joe Hogan —master in basketry weaving. The bystanders have therefore the opportunity to dive into a variety of environments, close to the different techniques, tools and materials. Beyond the extensive choice of high standard exhibitions, this design celebration is also a platform to think and discuss about making processes, innovation, training and transmission of skills. Through numerous talks and gatherings, it aims to foster a sense of community and encourage collaborative works. Finally ID2015 intends to put Ireland on the map of international design and to advocate for its well-deserved recognition. The festival extends its program to an international audience with events organized in Europe (London, Paris, Milan for the Salone del Mobile,) but also in New York, Chicago, Hong Kong and Shenzen. Defining an Irish style may appear challenging considering the plurality of profiles placed under the word “design.” ID2015 showcases projects in tune with the challenges of a highly globalized and connected world. From one event to the other, this edition captures an multi-faceted image of Irish design which fully deserves to be taken into consideration. It accurately drafts the portrait of a community of designers and artists who follow the footsteps of Irish twentieth-century key figures such as Modernist architect and furniture designer Eileen Grey (1878-1976). This vibrant new generation avoids superfluous artifice and focuses on functionality with a deep sense of simplicity, efficiency, lightness, and a strong taste for craftsmanship. Many projects show an interest for traditional handicraft techniques such as wool knitting and weaving, metalwork, ceramics and woodwork, which are used and remastered with a contemporary twist. It is the case with textile designer Claire-Anne O'Brien and ceramist Derek Wilson's works who both were included in the major exhibition Liminal – Irish Design at the Threshold in April 2015 at the Milan Salone del Mobile. Promoting crafts and design has also a significant impact from an economic point of view. It fosters employment and commercial opportunities. “Irish Design 2015 aims to drive job-creation and grow exports through the promotion and celebration of Irish design, which is key to our continued economic recovery.,“ says Paschal Donohoe, Irish Minister for Transport, Tourism and Sport. The ID2015 initiative successfully brings awareness to this growing field, helping projects to flourish and stimulating the excellence of an Irish creative scene.